More and more tourists are coming to Hvar and The Quaich is certainly benefiting. We had our first wedding and it was very special for us to be a part of the celebration. Massages, strawberries and champagne by the pool were the perfect way for the bride and bridesmaids to start the day. 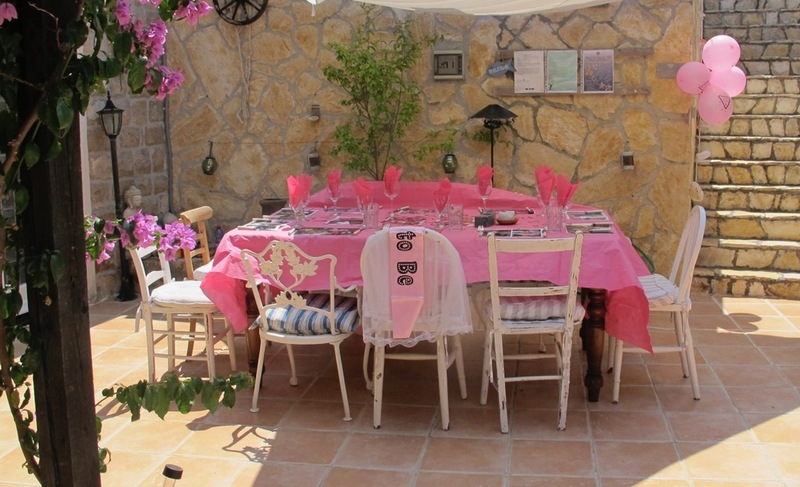 A lovely group of young ladies from London also came to enjoy the sunshine and have their hen party lunch with us. The summer of 2013 continued with a proposal, several honeymoons and special birthdays. The new shower rooms Mick completed this year were a great success and we continue to improve the accommodation each year. It’s now time to shut down for the winter and we are assured by our neighbours that we are in for the coldest winter in decades. Just as well the very hot summers make up for it!!! Thanks to all our guests for making it another great year and see you next year! !